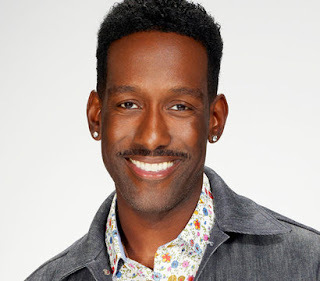 Shawn Stockman, a member of the legendary group Boyz II Men, is currently recording his first solo album for SRG Records in Los Angeles, CA alongside producer, songwriter, and SRG/ILS Head of A&R Tim Kelley. Tim Kelley, Head of A&R The SRG/ILS Group, said "When I got the A&R position here at SRG, Shawn was one I told myself that I'm signing no matter how many hoops I had to jump though. He's one of the smoothest singin' cats I know, and I'm honored it's all worked out. Now time to make a classic!" As a member of Boyz II Men, the Best-Selling R&B Group of All-Time, Shawn is known for the international smash hits "Motownphilly", "End Of The Road", "I'll Make Love To You", and "One Sweet Day". Shawn is also a popular television personality, most notably as a judge on the popular competition series The Sing Off, which ran for five seasons on NBC. As well as being a vocalist, Shawn is an accomplished lyricist, composer, arranger, and musician. Along with Boyz II Men classics, Shawn has collaborated with many artists outside of the group, including Mariah Carey, Michael Jackson, Tank, and Johnny Gill. In 1996 Shawn had his first solo hit with "Visions of Sunset" from the soundtrack for the Richard Dreyfuss film Mr. Holland's Opus. Most recently he surprised fans by providing backing vocals on the latest Foo Fighters album, Concrete and Gold. Claude Villani, CEO The SRG/ILS Group, said "Shawn is an amazing singer, songwriter, guitarist, and musician who has only scratched the surface of his ability. I believe he is going to open up a whole new chapter of his career and diversify his fan base with his first solo release."